Author’s note: My apologies on the delay in getting this newest installment ready. Following about a month of work helping out on the CARR Fire up near Redding, California, I was plenty busy preparing for my Las Vegas Mob Museum debut. 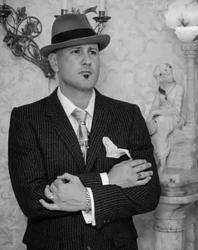 I’m happy to say the September 22nd lecture on Jack Dragna and organized crime in Los Angeles was well received. Quite the honor, I was also asked to assist in updating the museum content on my grandfather Jack Dragna. This is a major milestone in my efforts to reshape the slanted Hollywood perception of my family and of early L.A. Hopefully video coverage of the event will be available soon. Now about my welcome back installment – we touched upon Abe Davidian’s shooting in “The Mercy Killing of Willie Moretti” but now we probe deeper. Going back to the year prior, by the summer of 1949, Abe Davidian was dealing heavy as a California “narcotics runner.” The operation moved product from Los Angeles up to the central and northern end of the state. The summer of ‘49 is when Davidian’s “speeding Cadillac smashed through a road block on the Ridge Route and careened over a ditch into a field.” The police chase that led up to the crash wasn’t the first time lawmen tangled with the offender. When officers pulled over a suspicious vehicle earlier, they encountered 28-year-old Armenian, Abraham Davidian, and his 37-year-old partner, Paul Lindman. In the car they discovered powdered milk and scales but no trace of narcotics. Noting the driver carried $15,600 in cash, it wasn’t difficult to guess their intentions. Rather than hold the pair though, agents instead decided to turn them loose; at least until they’d made a buy. 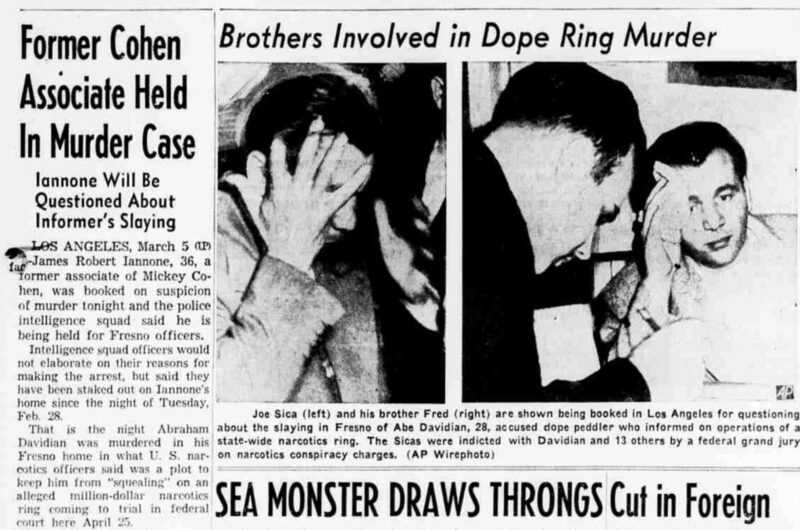 Out in Los Angeles some six months later, brothers Joe and Fred Sica heard they’d been indicted. Getting word, they turned themselves into the U.S. Marshals. Newsmen described the pair as Hollywood businessmen with interests in a health club and shirt shop. Their long list of misdeeds was also noted. Joe and Fred were two of four brothers born and raised in Jersey. On the other coast the Sicas held ties to a much bigger name in the underworld—Willie Moretti. Moretti is believed to be the Sica’s East Coast narcotic connection. Making the trek out West, the brothers originally settled in Fresno where they got their start in the California rackets. Before long they situated further south and began accepting muscle jobs for Ben Siegel and Mickey Cohen. 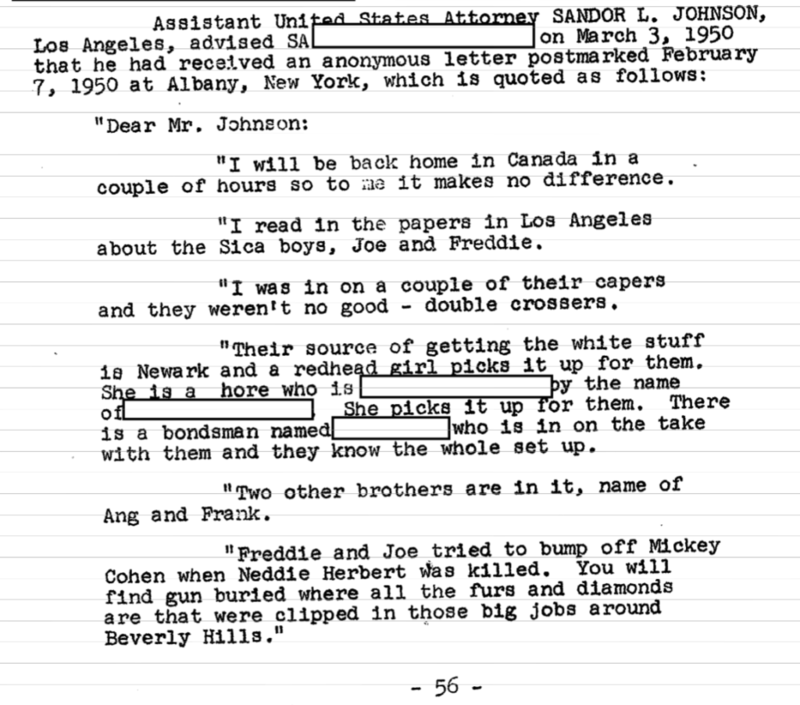 Although hired guns for the syndicate, the Sicas also served as freelance operators for the Los Angeles family. And, at some point, they utilized their contacts back East to capitalize on the state’s multi-million-dollar heroin ring. Some even believe they captained the enterprise. What wasn’t coming in from Mexico, the Sicas shipped into Long Beach by boat. From there product dispersed throughout the state. 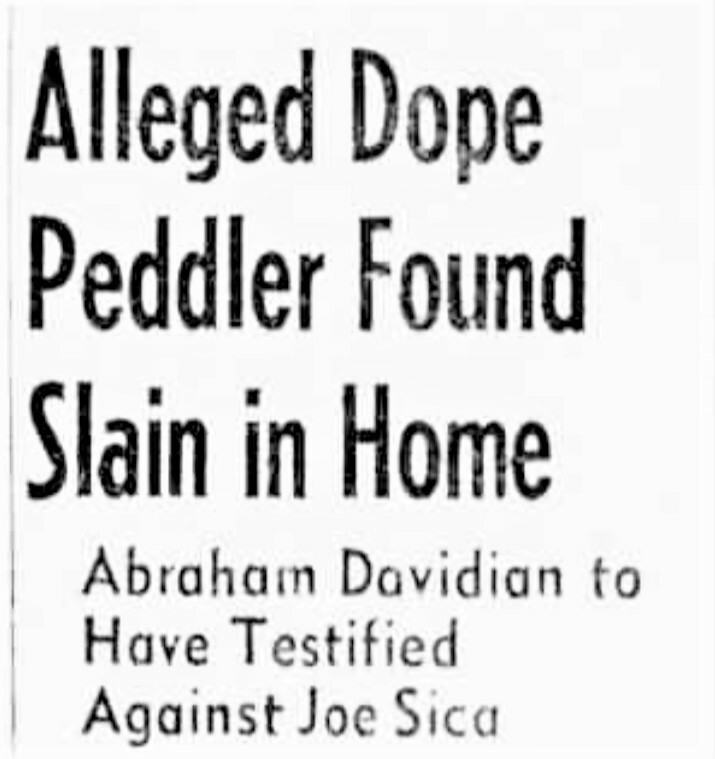 Sealing matters for their family operation, Abe Davidian soon testified that Joe Sica was his heroin wholesaler. The Sicas weren’t the only ones affected by Abe Davidian’s willingness. His cooperation posed a big problem for quite a few others as well. In the half year since he crashed a Cadillac full of heroin into a ditch, the number of those indicted had climbed to sixteen. The long list of those accused resided in Stockton, Merced, San Francisco, Fresno, Delano, Livermore, and Los Angeles. Also wanted in LA were culprits Marty Weiner and Stanley Adams. Commenting on the situation, Fresno Police Chief Dan Lung indicated the San Joaquin Valley had become a hoodlum highway for So Cal criminals conferring with Nor Cal cohorts. The transformation likely had something to do with the Sica relocation from Fresno to Los Angeles. “Davidian was afraid of everybody,” remarked Lung, adding “and I guess he had good reason.” Who exactly it was the informant feared; however, remained hidden. And so, when singing Abe finally got it, just who it was that delivered the lead became the big question; plenty of individuals held a terribly strong motive. Initially, federal narcotics agents hid Davidian out in Arizona, seeking refuge in Phoenix then Tucson. And he may have lived awhile longer if he hadn’t become “restless and decided to come to his mother’s” home up in Fresno. Immediately following the execution, lawmen sought out each of the accused who’d posted bond. The two men from Los Angeles alleged to be “chiefs” of the multimillion-dollar dope ring had been “freed under $1,500 bail.” Out on bond at the time of the killing, the Sicas naturally became primary suspects. It wasn’t long before agents picked them up. Until evidence surfaced; however, they would be held “on suspicion of conspiracy to obstruct justice.” This time freedom wouldn’t be so manageable though. For the Sicas, the fee jumped to twenty-five grand. Bail for the others doubled. Despite the hefty hurdle, less than a week later the Sicas were again roaming the streets of LA. Joe shelled out 25K for his release while his younger brother, Fred, got out for a bargain; their lawyer finagled a reduction to 15. Though not indicted with the original sixteen, LA lawmen paid a visit to another potential gunman—36-year-old Jimmy Iannone. Iannone was known in some circles as Danny Wilson. Iannone wasn’t in when the authorities came calling, so they decided to stake out his residence. Eventually he approached his front door “unshaven and wearing old clothing.” After denying the charge, Iannone offered an alibi; he’d “been resting at a ranch near Tucson, Arizona.” Col. White of the Bureau of Narcotics later revealed Iannone had been missing since three days before Davidian’s murder. 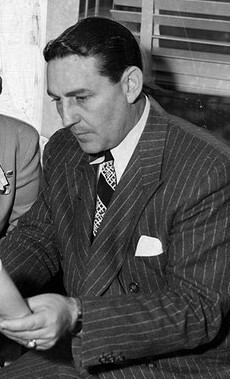 Causing grief for Jack Dragna, newsmen highlighted his connection to the accused. “Joe Sica, a former lieutenant and bodyguard for LA Mobster Mickey Cohen, recently transferred his allegiance to Jack Dragna.” Newsmen had the same to say about Danny Wilson. 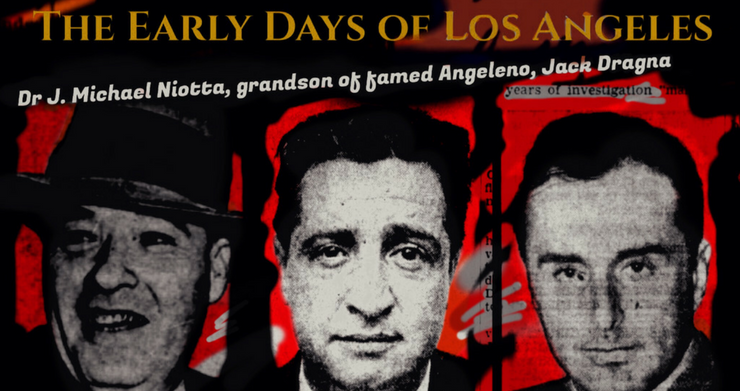 “A former lieutenant of Cohen, Iannone left the dapper little gambler to join the Los Angeles county mob of Jack Dragna who was described three weeks ago by Gov. Earl Warren’s crime commission as the Capone of Los Angeles.” The crime commission’s recent statement about Dragna no doubt overshadowed the far more important commonality shared by the potential slayers—they were all associated with Mickey Cohen during the time of said illegal narcotic activity. Despite this truth, Mickey Cohen got off easy on this caper. That being said, the overzealous gambler was about to step into a whole separate pile of hurt; his meddlesome involvement in the ongoing Brenda Allen trial would soon bring on a world of heat for everyone operating in the LA rackets. Faced with public accusations of ordering the execution of a government informant in order to cover-up his ties to a dope peddling ring, was enough to drive Jack Dragna out of the shadows. Stepping very out of character, he reached out to a reporter from the LA Mirror and seized the opportunity to clear up the error. Regarding the charges, he offered: “Dope is a lousy racket. I never had anything to do with it and I don’t want any part of any guy who is in it.” Whether or not Jack Dragna was involved, Governor Earl Warren’s representatives certainly felt members of law enforcement had their hands in the illicit happenings. Amil Demes, Chief Investigator for the District Attorney’s Office of Fresno County, explained that “Davidian had served as an informer and had told him of several large users of heroin in the San Joaquin Valley and this information had led to a number of arrests,” but declared he had “never heard of Davidian making claims to people that had the goods on officers for payoffs in the dope traffic.” Also opposing Howser’s claims was Warren Olney III, who represented Governor Earl Warren’s interests via the state crime commission. In his opinion, Davidian was no doubt “exposed to the Sica-Dragna gang as the informer long before the indictment” and “long before it was made public [that] Davidian would be a witness.” Going further, he relayed “the slain dope peddler” explained “Sica was in control of much of the organized gambling in the San Joaquin valley, which the counsel described as a subsidiary of that operated by the Dragna gang in Southern California.” Alluding the fault could be attributed to Howser’s side of the house, Olney then intimated “the leak may have been through sources on the state level.” Clearly the authorities were not working together. Davidian having been a federal witness, the FBI joined in the hunt for the assassin. But they had no leads. They had no evidence. What they did have; however, was another potential witness. Creating a second target for anxious shooters, the papers made it known that Davidian’s former crime partner, Paul Lindman, had also “agreed to turn government witness.” Lindman, who’d “been kept in protective custody at Delano, California,” after “underworld rumors that he was the next member of the 16-man narcotics ring marked for death as an informer,” had since been moved to an LA County jail “for safekeeping.” Immediately after his relocation, Lindman approached supervising agent, A.V. Beckner, and admitted he was “afraid Davidian would cause him trouble.” Little did he know it wasn’t Davidian he had to fear. But Lindman wasn’t the only one in danger. LOS ANGELES—Col. George White, regional head of the Federal Narcotics Bureau, was warned a few hours after the slaying of dope peddler Abe Davidian that he was next in line for assassination by narcotics ring executioners. Col. White received the anonymous telephone call at his San Francisco home. The voice on the line warned, “This is a friendly tip. Davidian was first, you’re second.” But more than mere words followed less than a month later. MERCED, Mar. 25–An ambush struck for the second time in a month today at another potential witness in the government’s narcotics case against notorious Joe Sica. But a knife-wielding assassin who leaped on Edward Dollins, one of 16 originally indicted in the Sica case, failed to inflict a mortal wound. Dollins, 29, a small-time Fresno hoodlum, was rushed to county hospital for treatment of three stab wounds in the shoulder. After his release from the hospital, Eddie Dollins refused protection. Since posting a $5,000 bail, he’d been living alone in a Merced motel. Less than cooperative, when confronted by Sheriff Cornell, he mouthed “I wouldn’t tell you who it was if I knew and I wouldn’t sign a complaint if you caught the man.” By that time, Paul Lindman had already taken a similar route. During his testimony in mid-March, he swore he’d never met the Sica brothers. After admitting he’d “purchased narcotics from Davidian,” he claimed he “did not know where Davidian got them.” Considering authorities intercepted Lindman with Davidian in the same vehicle before and after the buy, it must have been a difficult story to sell. In mid-April, Paula Lindman drew a year sentence and three year’s probation for drug charges. Come December, 38-year-old Stanley Adams received a four-year sentence “for perjuring himself during a federal grand jury investigation.” Adams lied to secure an alibi. Soon after, Davidian’s widow found herself jailed for the same offense. The week before Christmas, brothers Joe and Fred Sica, “tabbed by the California crime commission as overlords of the multi-million-dollar dope traffic,” were freed of all narcotics related charges. Behind the scenes, the feds quietly held onto a potential smoking gun. The following incriminating letter appears in Joe Sica’s federal file.